BRIGHTON, Mich. - Tuesday, December 16th was our 15th Annual Window Painting Event and Santa Night at Brighton Ford! We were so thrilled to see so many smiling faces from our community at the dealership for a evening full of holiday fun! Santa Claus was able to take time out of his hectic Christmas schedule to pay us a visit and take photos with all of the girls and boys. 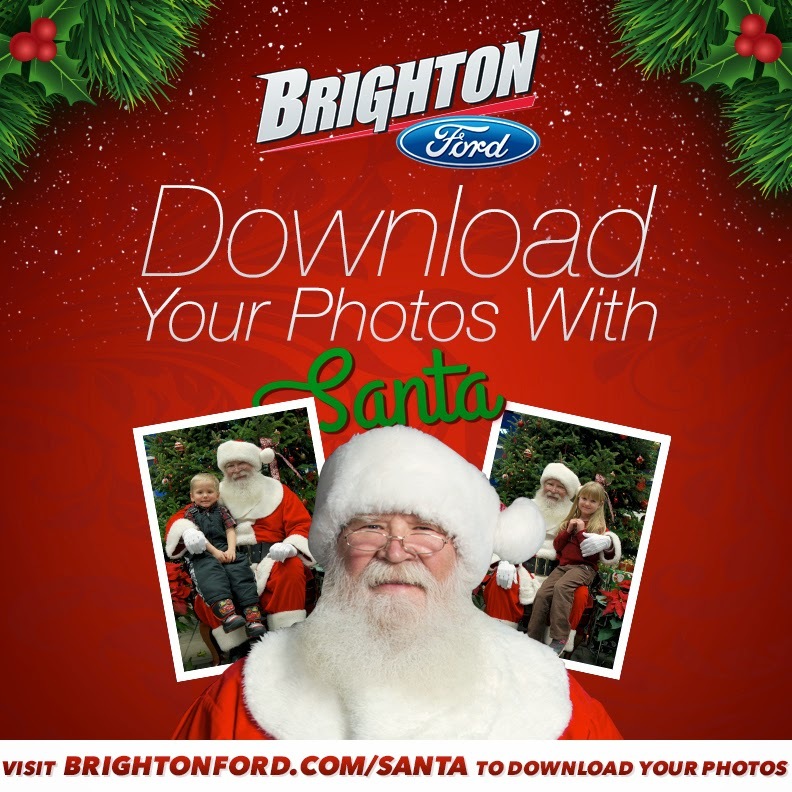 You can now download your FREE Santa photos from www.BrightonFord.com/Santa! While you're on the site, share your "I Believe" story with us! We want to hear about what you believe in most during this time of the year. We have to mention our big winners from this year's event! Hornung Elementary took 1st place in the Window Painting Contest followed by Hawkins Elementary in 2nd, Spencer Elementary in 3rd, and Hilton Elementary in 4th. Attendee April Sassin went home a winner as well. April was the lucky recipient of our FREE TV raffle! We are so thankful for our community and Brighton Area Schools for allowing us to host such an awesome event. We are already looking forward to next year! Don't forget, you can now download your FREE Santa photos from www.BrightonFord.com/Santa!